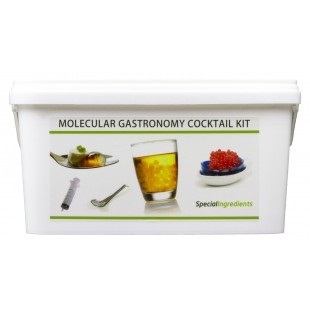 Our Molecular Gastronomy Cocktail Kit contains everything you need to enter the The World of Molecular Cocktails. Teaching you molecular techniques that can be used to create weird and wonderful cocktails. Create liquid centred jellified spheres to use in cocktails and drinks. Create Caviar Pearls with liquid centres to use in cocktails and drinks. Turn liquids into foams that last to top and decorate cocktails and drinks. Change the viscosity of liquids to suspend objects. Change liquids into gels to create edible cocktails. The world of molecular cocktails and the possibilities it holds for cocktails and drinks is endless. Only your imagination is the limit. 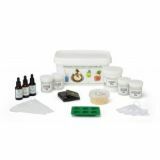 This kit is designed to teach you techniques to get started. We hope you will use these techniques to make your favourite cocktails into very some very special. Lecithin Powder 50g - refrigerate after opening. Introduction, Spherification, Reverse Spherification, Spherification Tips, Lecithin Foams, Apple Caviar Pearls, Blood Mary Cocktail, Gelled Pina Colada, Kahlua Sphere with Vodka Shot, Suspended Red Bull with Vanilla Foam, Vodka Shot with Caramel Apple Sphere. 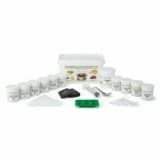 Sodium alginate 50g, calcium lactate 50g, agar agar 50g, xanthan gum 50g , lecithin powder 50g (from Soya), vanilla extract 10ml.